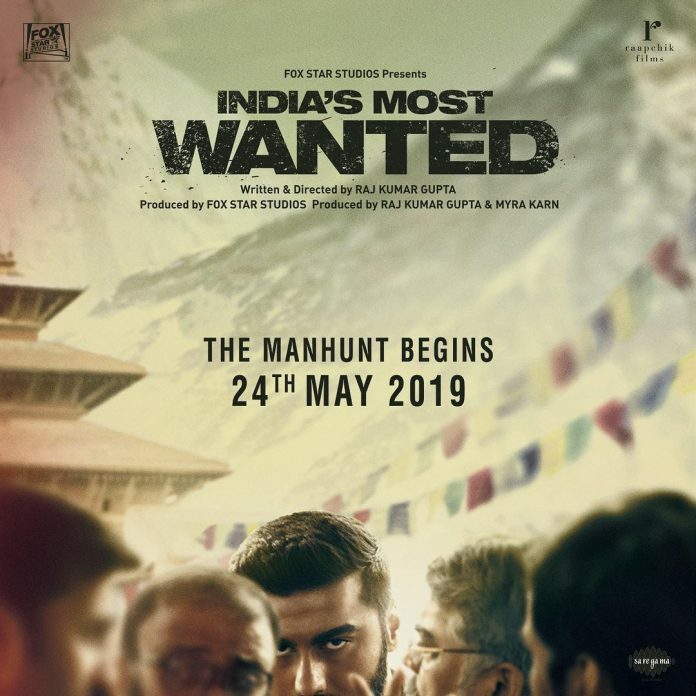 Young Bollywood actor Arjun Kapoor took his social media account and shared the first look from his upcoming film with the title India’s Most Wanted. The first look has shown the intense side of Arjun and the film will narrate an untold story inspired by true events. The film is helmed by Raid and No One Killed Jessica fame Raj Kumar Gupta and is jointly produced by Fox Star Studios, Raj Kumar Gupta and Myra Karn. India’s Most Wanted also stars Amrita Puri, Rajesh Sharma, Prasanth, Shantilal Mukherjee, Gaurav Mishra, Asif Khan and Pravin Singh playing important roles. Arjun took his Twitter account and shared the first look of the film and wrote, “I am proud to present to all of you #IndiasMostWanted, an unbelievable story inspired by true events. Teaser out tomorrow. @rajkumar_rkg @foxstarhindi @raapchik_films #IMW.” The first look of the film surely looks intriguing and will surely leave the audience wanting for more. Arjun had wrapped the shoot of the film in 2018 and had then penned an emotional note stating, “Some journeys are special because of the team and the effort that the people put in to fulfill a vision… As my 12th film India’s Most Wanted wraps today, all I can say is Raj Kumar Gupta, it’s been an honour and a privilege to work with you and your team, to tell a story that needed to be told and to play one of the many unsung heroes we have in our country.” The actor was last seen in the film Namaste England which also starred Parineeti Chopra. Next articleSalman Khan starrer Bharat new poster unveiled!